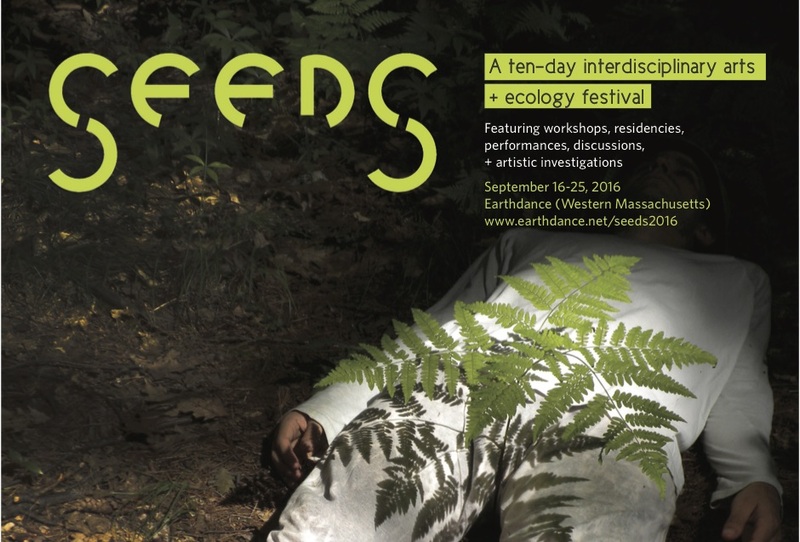 SEEDS 2016 is an interdisciplinary arts and ecology festival gathering artists, community activists, scientists, spiritual leaders, permaculture practitioners, and more for ten days at Earthdance. 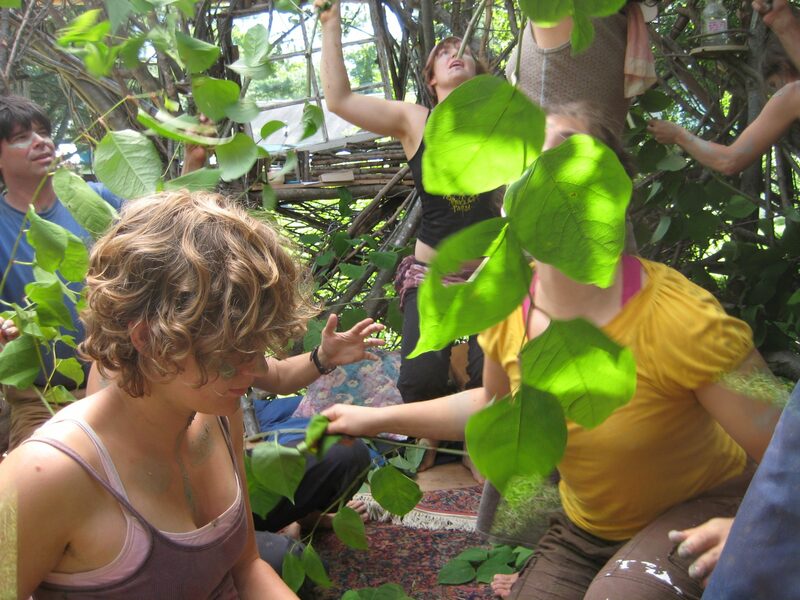 Through workshops, residencies, discussions, performances and artistic investigations, SEEDS aims to explore the potent space of art, allyship, movement practice, and ecology. 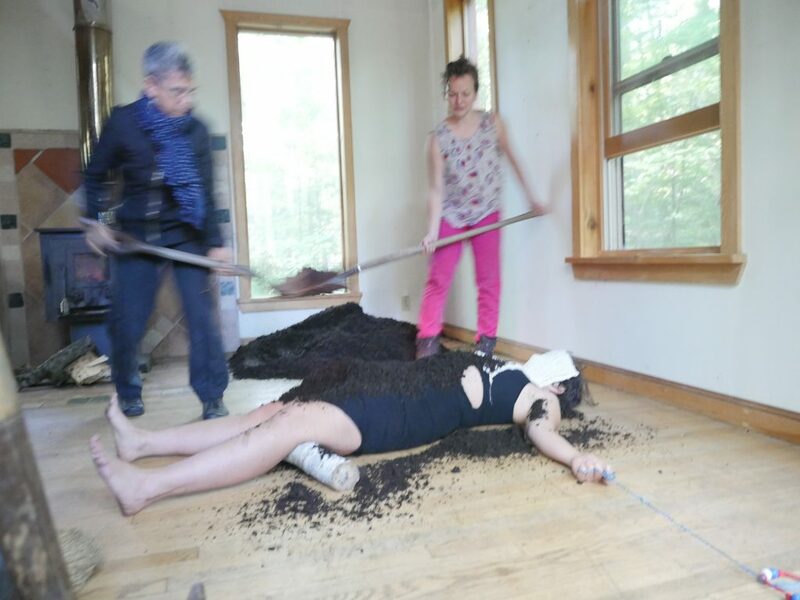 By working with the connections between environmental racism, intersectional oppressions, power/territory, and privilege, SEEDS makes space for multiple voices and forms of participation while creating a space for embodied intelligence and collective inquiry. 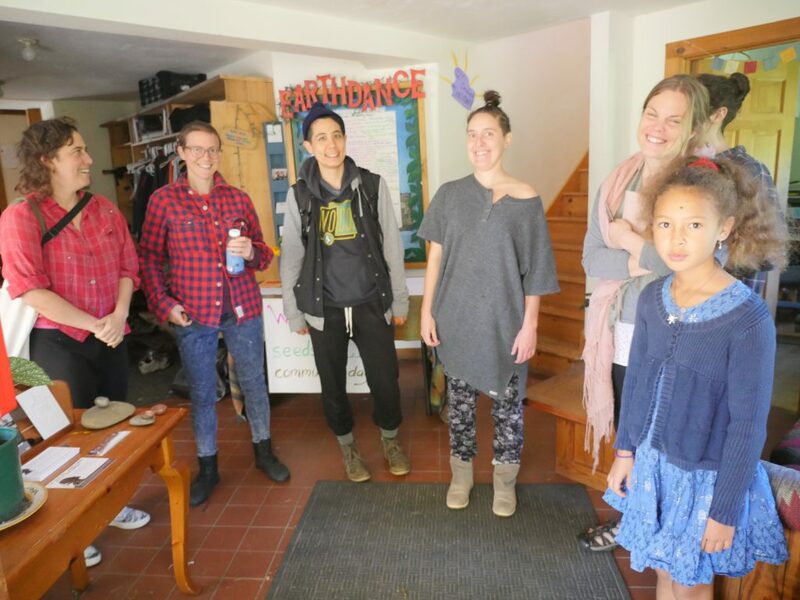 The Teachers for SEEDS 2016 were: Benoit LaChambre, Sherwood Chen, Marbles Jumbo Radio, Emily Johnson, Aiyana Masla, Margit Galanter, Shanna Goldman, Hana van der Kolk. Artists activists and academics in residence (AIR’s) included Marbles Jumbo Radio, Isa Leal, John Schade, Lailye Weidman, Melissa Tuckey, Mayfield Brooks, Cara Judea Alhadeff, Laressa Dickey, JoAnna Mendl Shaw, Bibi Calderaro, Cindy Stevens, Colleen Bartley, Deborah Black, Joe Dumit, Marlon Barrios Solano, Pedro Alejandro, and Paige Tighe. The theme of this year’s 10-day long festival is NOURISHMENT: A crop’s environment – including soil, topography, and climate – imparts a characteristic taste and flavor and must be taken into consideration in cultivation. With care, through interaction we hope to create an ultra-lush, enriching, and regenerative culture in which to grow our art. 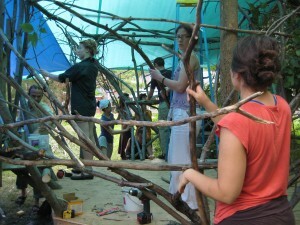 Plus performances, an ECO jam, discussions, films, artists-in-residence, green m-Art, and more. The theme of this year’s 10-day long SEEDS festival is NOURISHMENT: A crop’s environment—including soil, topography, and climate—imparts a characteristic taste and flavor and must be taken into consideration in cultivation. 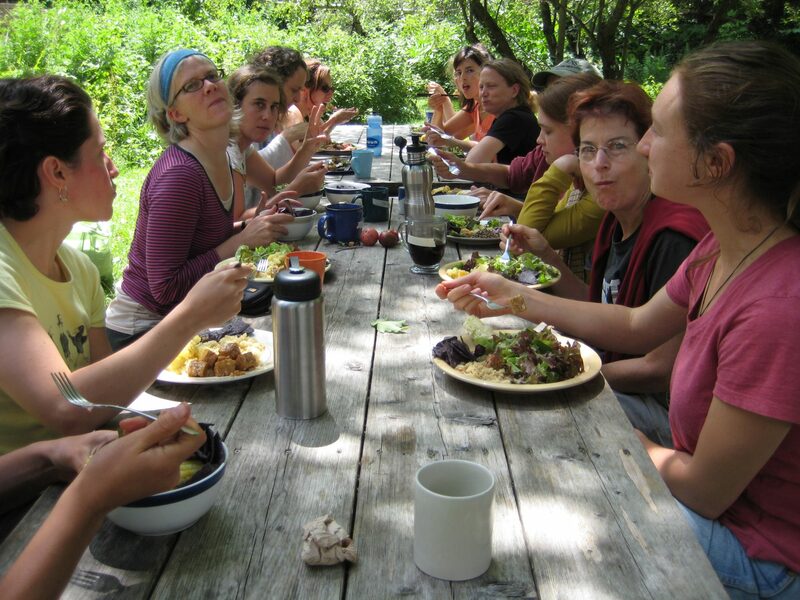 With care, through interaction we hope to create an ultra-lush, enriching, and regenerative culture in which to grow our art. 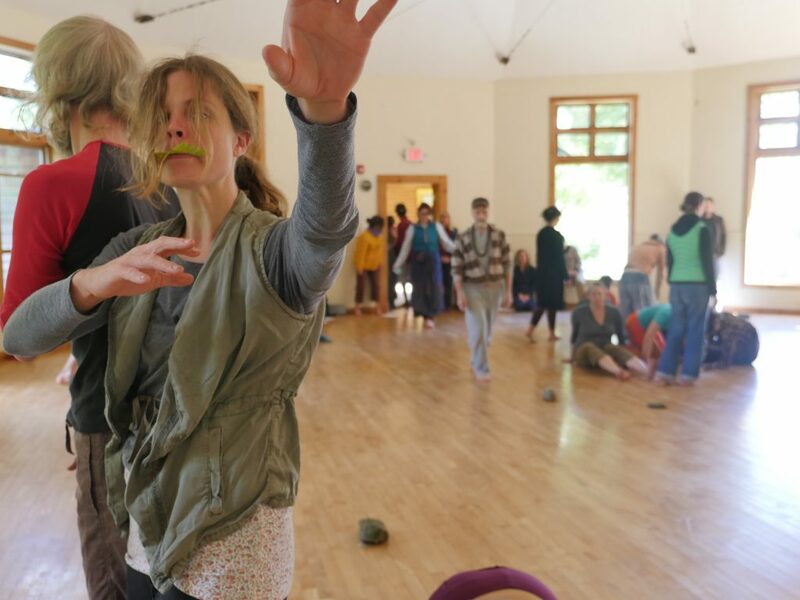 BodyCartography’s Otto Ramstad and Olive Bieringa created a participatory event on Saturday, July 18, titled adventures in empathy. 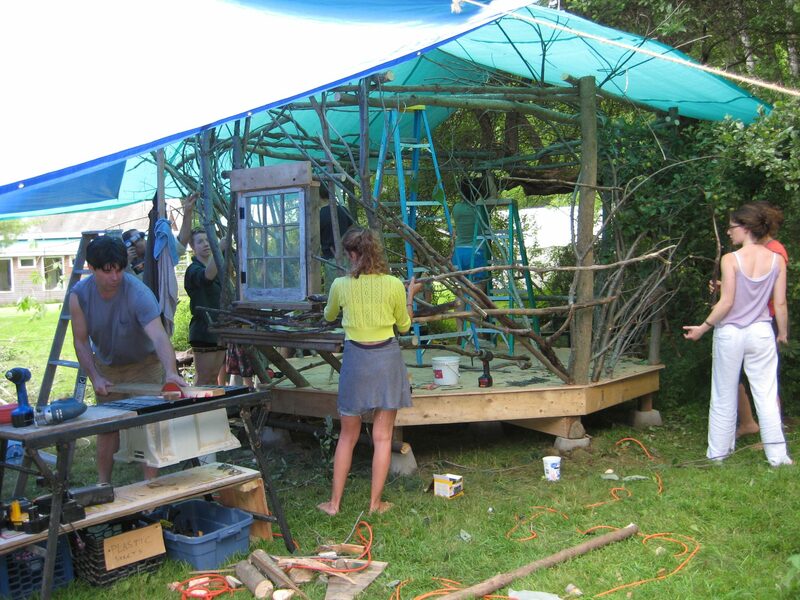 Together we created a temporary animal movement village beginning in the tissues, fluids and structure of our bodies, coming out to the surface of our skin to meet others, then traveling further past the skin of our eyes into micro macro spaces on the land and in the woods. Together we blurred the distinctions between deep inside and deep outside; breath is the air around us, food is the ground we walk on. 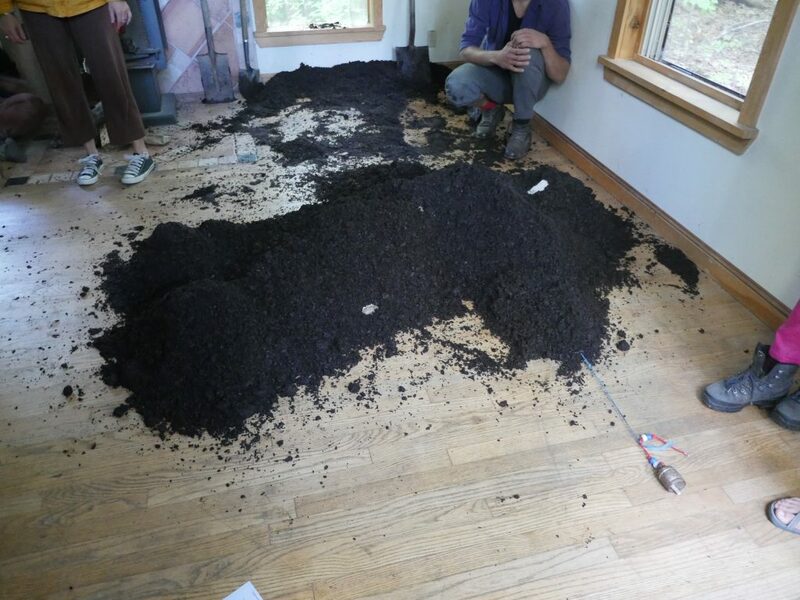 In the second week, we invited a group of independent resident artists and scientists to work in the retreat space, inviting them to collaborate with the land and with one another as was their interest. 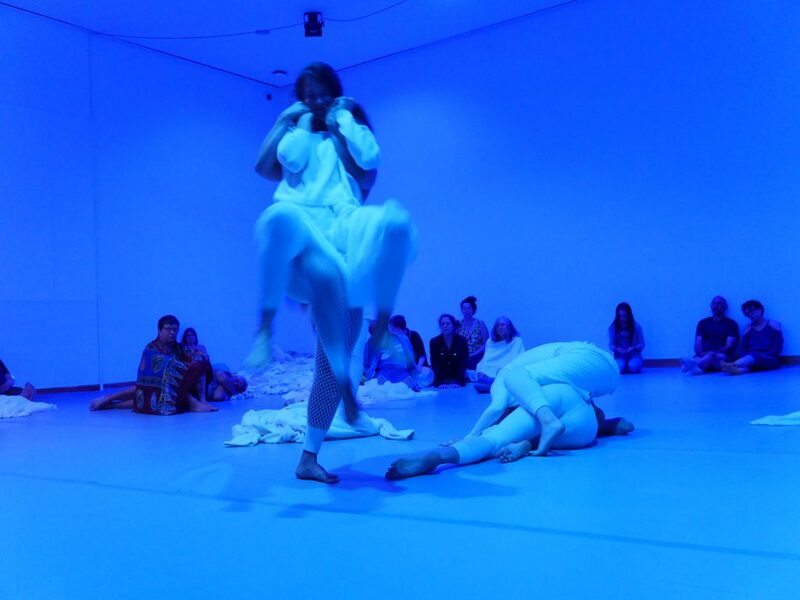 Rather than a typical format of expecting production, we invited artists to see what emerged from the uniqueness of the event. The artists participating were: Camille Renarhd, Chris Peck, Emily Moore, Gabriel Forestieri, Kayoko Nakajima, Kythe Heller, Lailye Weidman, Marissa Perel, Mark “Moti” Zemelman, Sakura Shimada. 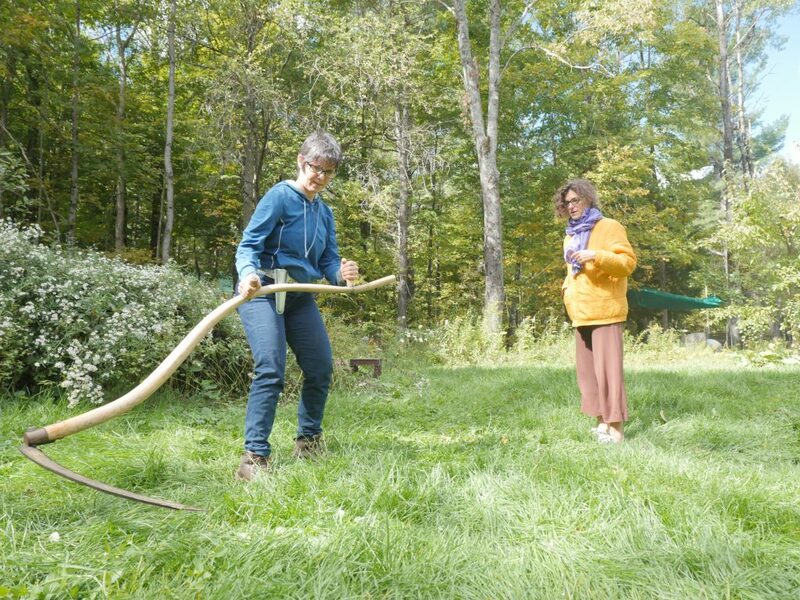 As part of this event, we invited artist mentors Daria Fain, Robert Kocik, and Beverly Naidus to present their work and be available as guides for the artistic research. Artist and 2008 SEEDS co-curator Jen Harmon facilitated the week’s residency. Our public rogramming included films, lectures, workshops and performances, culminating in a final Community Day where participating artist residents shared their research findings in the form of performance, film, installations, and participatory projects. Additional events featured as Public Events included Lee Fogel’s Wishing Garden, Tish Petrushka’s Earth Magic, a film on Wangari Maathai by Lisa Merton and Alan Dater, a 350.org gathering connected internationally, a panel facilitated by Marissa Perel, a fieldtrip lecture demonstration at Tsegyalgar East, a Global Underscore, and films selected by Olive Bieringa. 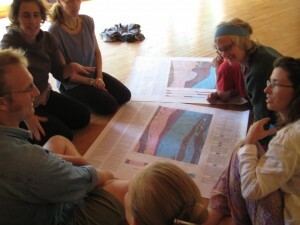 The focus of SEEDS 2008 was ecology. 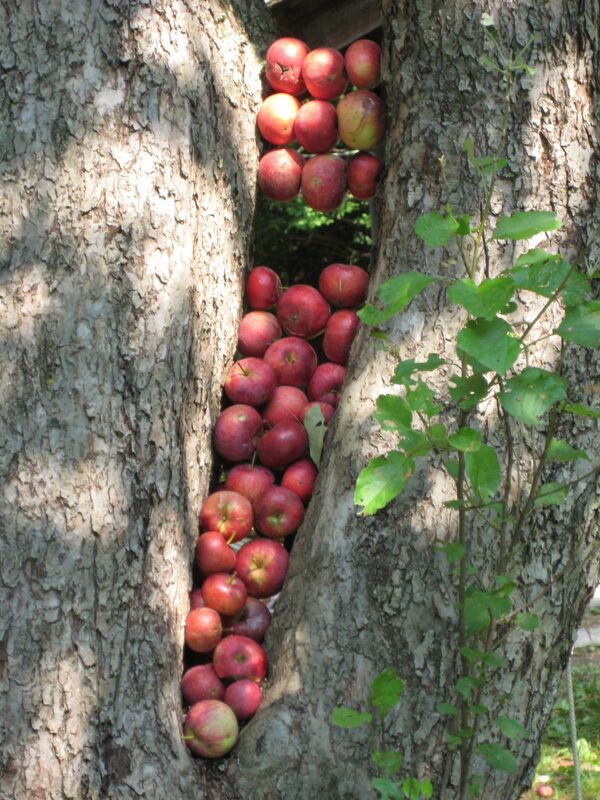 In basic terms, ecology studies the interactions of organisms with their environment and with one other. It is a rich term because it highlights feedback and interdependence. 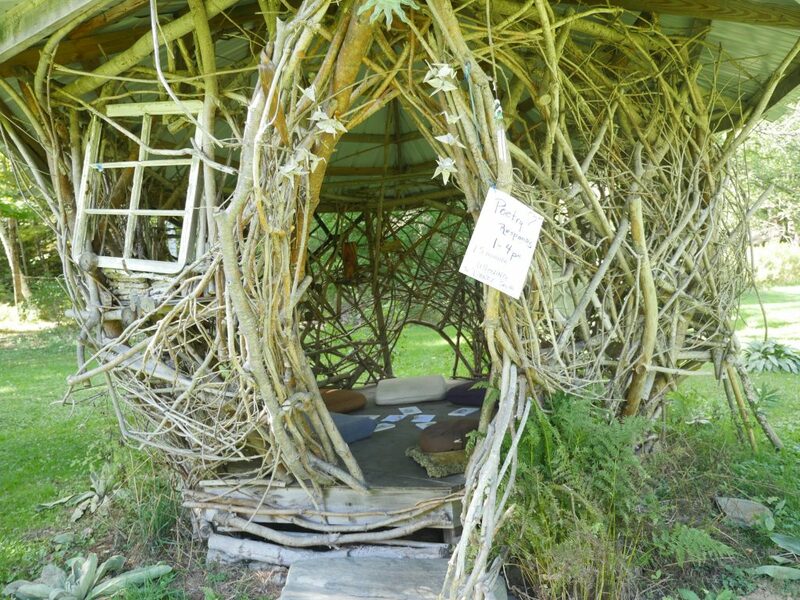 A broad use of ecologiinvokes the connections between realms as diverse as the natural world, social landscapes, human behavior, and imagination. 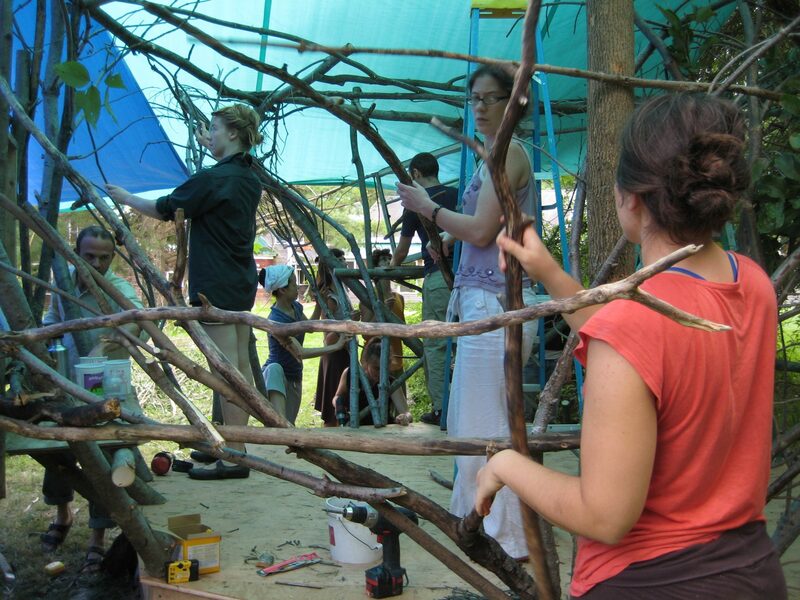 Through the theme, the Festival explored ecology both as a subject of inquiry, an approach, and a metaphor, thereby inviting new applications and research. Olive Bieringa and physicist Bryce Beverlin co-taught the MicroMacro workshop, playing between body systems and earth systems and physical principles of the universe. 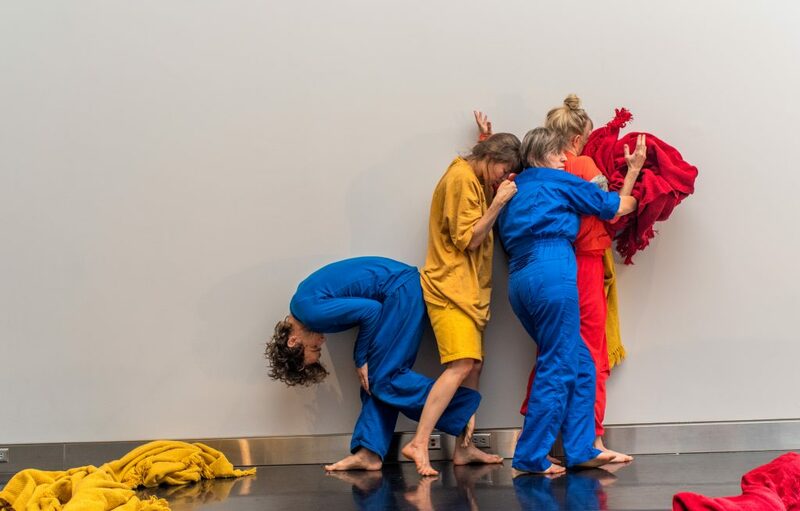 Workshop description: We will investigate the relationships between body systems and earth system as a way to build empathy and understanding of the planet and to build movement with meaning for ourselves, our communities, and our art making practices. 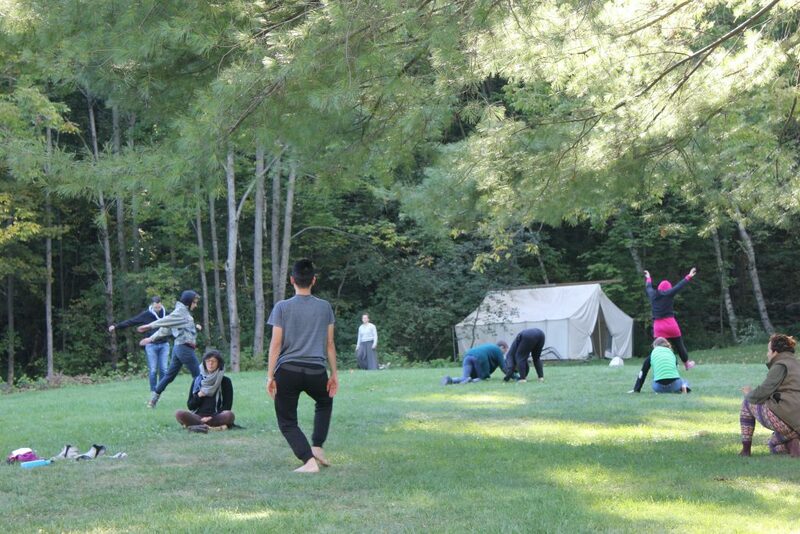 We will combine embodied anatomical studies from the perspective of Body-Mind Centering (r) with movement experiences on the land at Earthdance. They also spoke about their collaboration 1/2 life on a Sci-Art panel alongside Tamara Ashley (artist working with technology), Bruce Hooke (sculpter/builder working with natural building techniques), Susan Sgorbati (choreographer and mediator), and Melinda Buckwalter (choreographer and CQ editor) who facilitated.